The small shops on Avenue de Cran, and also sitting on the Ferienwohnung balcony evenings after walking about town and the neighborhood throughout the day. The portier was very helpful! Location. Space of apartment. Kitchen amenities are good! The location is quite central - 5 minutes walk into Annecy with access to beach, lake, cafes, cycle hire etc however it is very close to a noisy major road. No views. Nice property. Short work to the town and lake. Good wifi, lovely towels and very peaceful. The host was so kind and honest.. He provides valuable advices and guidance for touring the city. As we were travelling through France 8-10hrs we were unsure of our arrival time. Silvia was very accommodating and informed us to call her when we were an hour away. She greeted us warmly and even helped carry some luggage upto the 3rd floor for the grandparents as there is no lift. 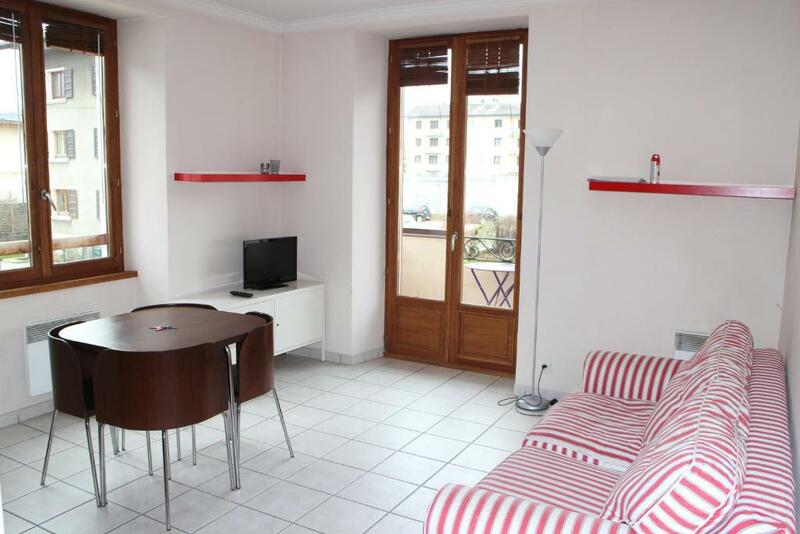 The apartment is well equipped and the kitchen had everything one could possibly need to cater for or a family of 6. ideally for Annecy old town, the lake and skiing at Le Semnoz. Very convenient 1 bedroom apartment. Great privacy. excellent kitchenware. 5 minutes by car to city center. The property owner was responsive when contacted confirming our arrival time. However there is no reception on site and this does mean waiting for somebody to arrive to handover the keys. The room was spacious and the kitchenette well supplied with cooking utensils. Free on site parking is a bonus. The property is on a quiet street. 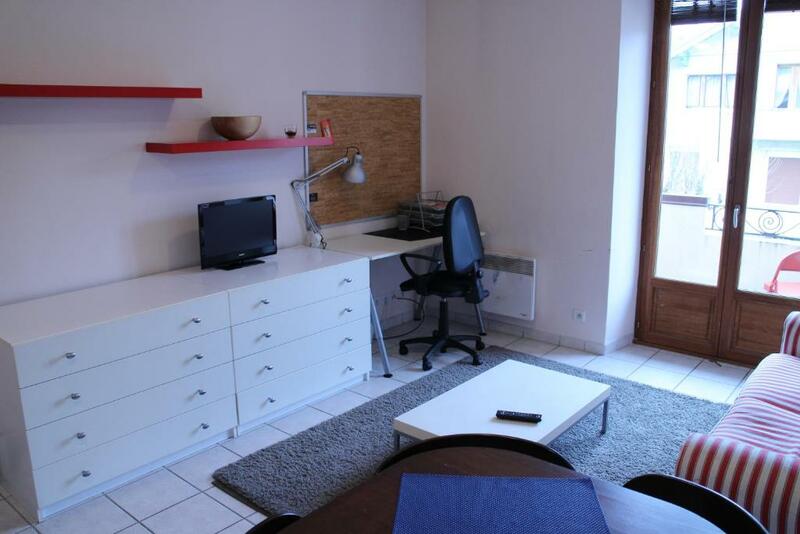 Safe area, close walking distance to old town, restaurants, supermarket. Great area for walking & biking, short drive to the amazing Aiguille du midi & surrounds. Excellent, free in house washing machine & dryer. 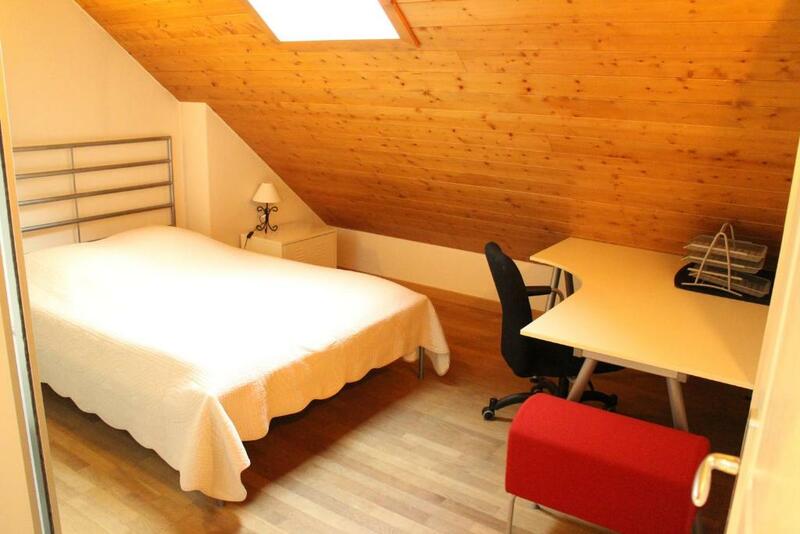 Les Z'hirondelles is just 1.1 mi from the center of Annecy, near the Old Town and the SNCF Train Station. 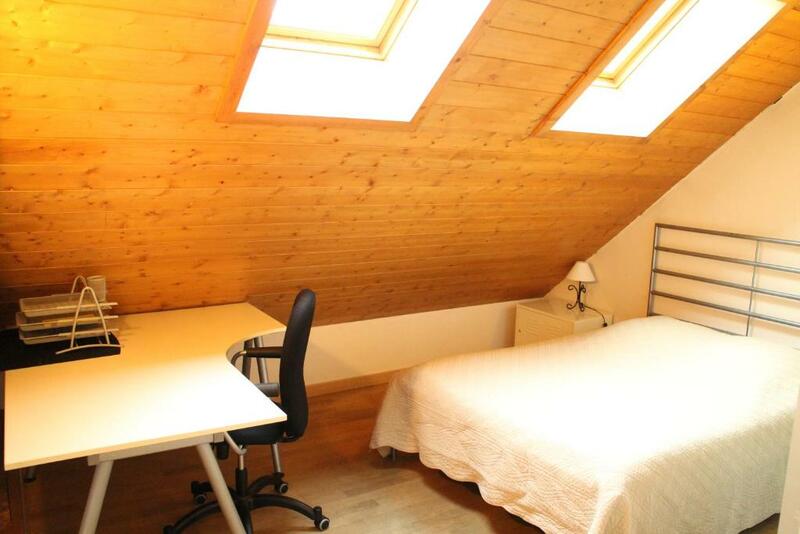 Its furnished apartments are a 10-minute drive from Lake Annecy. 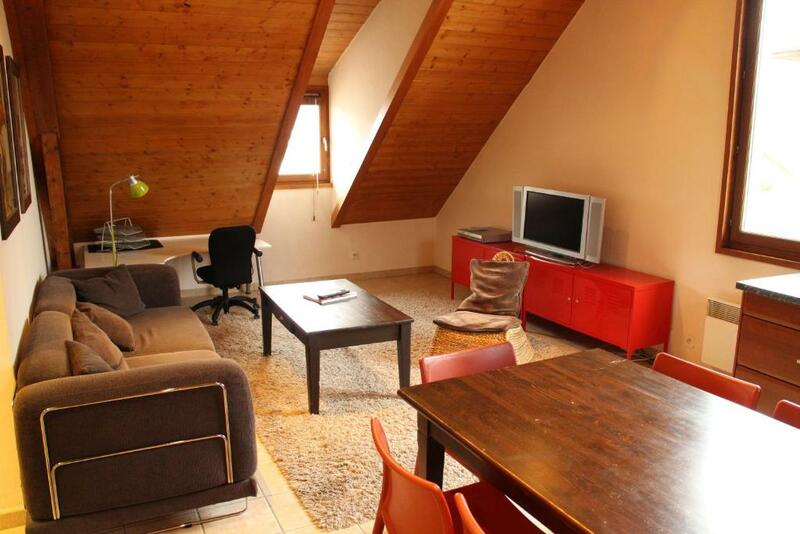 All of the apartments at Les Z'hirondelles are completely furnished and have free Wi-Fi. Each apartment has a kitchen with a refrigerator, hot plate, toaster; microwave oven and cookware. Bed linen is provided. Each apartment also includes a private parking place on site or in the garage. When would you like to stay at Les Z'hirondelles? 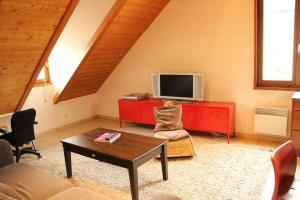 The apartments have free Wi-Fi access and an LCD TV. 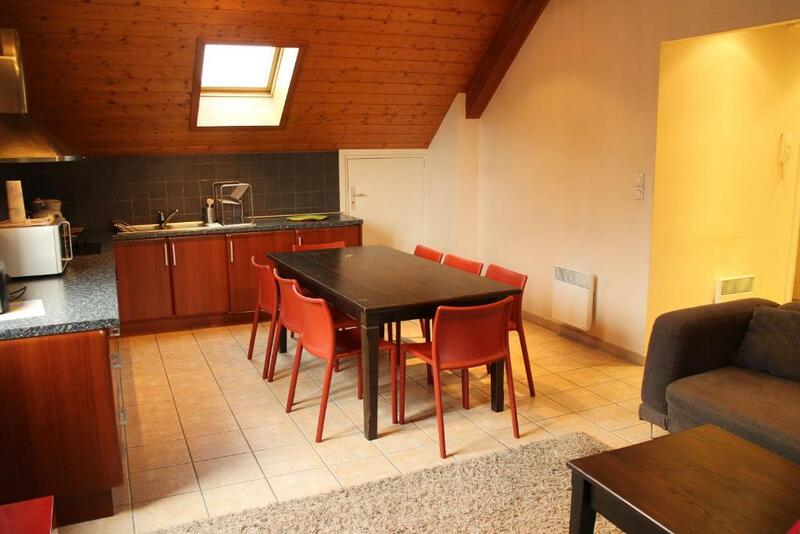 They also feature a fully equipped kitchenette. House Rules Les Z'hirondelles takes special requests – add in the next step! Les Z&#39;hirondelles accepts these cards and reserves the right to temporarily hold an amount prior to arrival. Les Z'hirondelles accepts these cards and reserves the right to temporarily hold an amount prior to arrival. Please inform Les Z'hirondelles of your expected arrival time in advance. You can use the Special Requests box when booking, or contact the property directly using the contact details in your confirmation. The only problem was the disgusting fridge. We were only there for 1 night and intended to put something in the fridge but upon opening it were assailed by the most disgusting smell of rotten produce. There was a pool of foul mucilaginous mank. Such a pity when everything else was perfect. Apt. 4: Should have been cleaner. Mold in bathroom needs to be removed. Toilet seat broken, needs to be replaced.Some hair on the bed. Nothing bad but worth a thought: As it is an apartment it would be nice if there would be a very basic supply, like coffee, sugar, tea, salt pepper oil vinegar. A couple pieces of furniture could be replaced. There is no a/c in the flat not even a ventilator, and no micro in the flat. This could upgrade the flat. No microwave oven. Pots warped. Rangehood over oven did not work. A twenty minute walk to the town. The house is just poorly maintained. When we arrived, broken lamps sparked and then were taken away and not replaced, even though we had asked. An unsafe wire hung from the bathroom ceiling. Extractor fans hung loose, unsecured. A heavy glass wardrobe door was attached by only one hinge and nearly came off onto our child who unwittingly opened it. The crockery hadn't been washed up when we arrived and the place wasn't all that clean. The beds were cheap and mattresses hard. There was no washing machine or dryer in the flat, nor any dishwasher. There was not one single picture or decoration on any of the walls. Generally the flat was just a bit grim. Not a very nice place to return to. We chose just to sleep there - not an especially nice place to make your break. Messaged an hour before arriving as requested. But still had to wait sitting in the hall an hour till the host turned up (5PM) - then told me I had to wait 30 minutes more as the room wasn't ready due to me booking last minute (the day before). Three guys turned up and no one really seemed to know what they were doing. Then tried to charge me €60 extra. They were friendly and this became resolved in the end, but they really need to sort out their check in process. Also, the main door for the building is broken and reading the prior reviews it seems to have been this way for a while (although it seems like a very safe area). No elevator .. however, the place has only 3 floors. Good location for all needs. Due to the purpose of the trip internet was very important to us. Even though the host/owner knew the internet didn’t work, they pretended everything was normal. Only after trying to contact the owner/host for 3 days did they say, they had some problems and that it didn’t work. Had they told us upfront or when we checked in, we would been less frustrated.